Asklipio (Asklepieion) Medieval Fort The castle of Asklipio (Asklepieion) was built in 1479 by Grand Master D'Aubusson at the site of an ancient lighthouse. 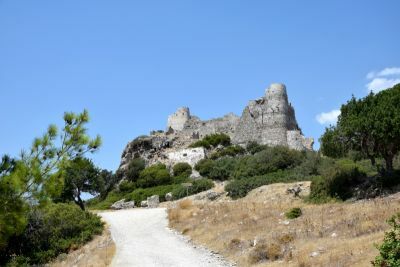 In the Byzantine period, during the time of the Knights, the castle also offered the inhabitants of the surrounding villages protection against enemy attacks. 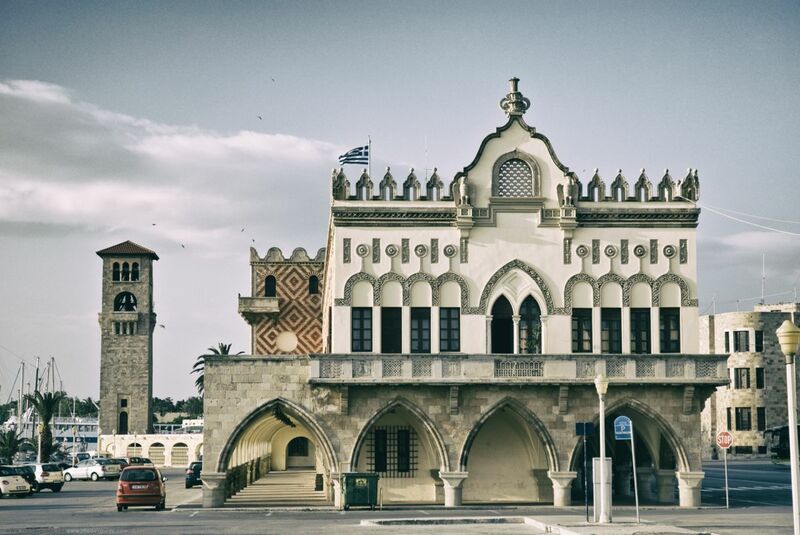 The former Governor's Palace, now used as the the Building of the Prefecture, It is one of the most considerable buildings constructed on Rhodes during the Italian occupation of the island. It is a combination of many different architectural styles and its arrangement strongly resembles the Palace of the Duces in Venice. 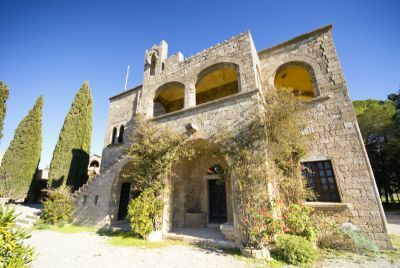 It is one of the most important buildings of the Italian period in Rhodes, which today houses the Prefecture of the Dodecanese, on the beach of Mandraki in Rhodes Town. It was built around 1927 by architect Florestano Di Fausto, chief architect of governor Mario Lago and creator of many major public buildings, urban planning and restoration work, etc. It is an imposing two-story building, built to the dominant system of the time, stonework and reinforced concrete. The ground plan is surrounded by a covered gallery at the height of the road. Morphological building comes from the "Palazzo Ducale; Venice. It has complicated decorative lined red stone on the eastern side, while the west is decorated by massive stone masonry, medieval memories, coming closer to the "aravourgizon; Venetian baroque north face. 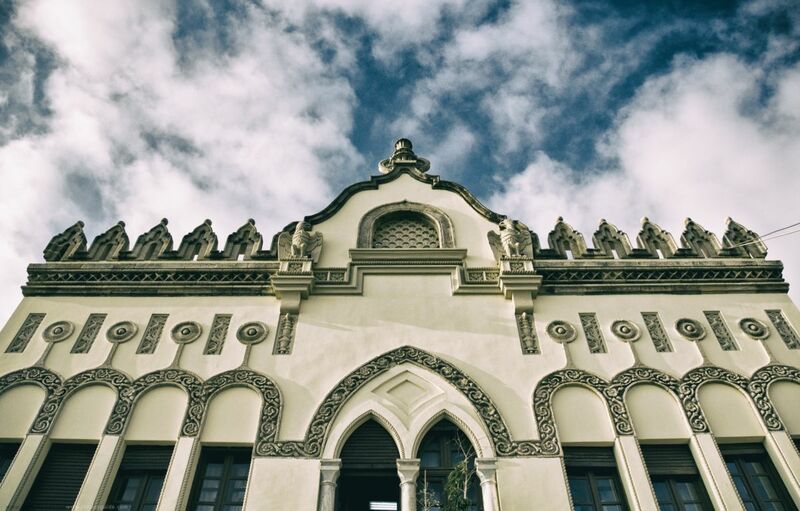 The Governor's Palace in Rhodes is the best preserved example eclecticism, by which was governed by Di Fausto. It is one of the most remarkable buildings of the Italian Dodecanese and since located on the beach is one of the first images that has the city the visitor arriving from the sea. The district of Ialysos encompasses the northern part of the island. It was inhabited in the prehistoric period. Remains of a Minoan settlement have been found at Trianda and Mycenaean cemeteries have been located on the surrounding hills of Makria Vounara and Moschou Vounara (1700-1400 BC). 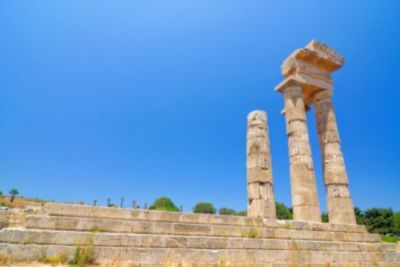 The ancient Acropolis of Rhodes, along with the Ancient Stadium of Rhodes, stood on the hill now known as Monte Smith. Only few surviving remains of the Acropolis exist to provide a faint idea of its original grandeur. Still, it is well worth a visit. 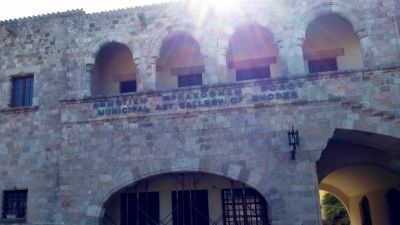 The Municipal Gallery of Rhodes today houses one of the most representative and authoritative collections of 20th-century Greek painting. Most of the painters who worked creatively during these nine decades are represented in this collection through some of their most characteristic works.